21 South Texas shallow stripper wells (330ac) just reworked, cleaned and 6 are now equipped producing 5 to 6 bpd. All wells have flow lines to tank battery and gun barrel, Brand new innovative pumping system in place on 6 wells that can be controlled on-line from laptop reducing pumper /elect cost. All systems are above ground for maintenance. Turnkey operation, equipment in place could have monthly lease option or purchase with the lease. With 15 more wells on lease you should get an average of 15 to 20 bpd. All wells (in the 1500ft TD) have nice high pressure in 500 to 700 psi range. Plenty of room to drill at least 5 brand new wells or even go horizontal so lots of life left on this beautiful unique lease. Luling Oil & Gas LLC (LOG) has acquired oil and gas leases representing 118 existing wells in the Austin Chalk formation. LOG owns mineral rights to 6 leases containing 653 acres with 118 existing vertical wellbores and 269 undrilled acres in the Austin Chalk Formation. 2009 Independent Reserve Report shows that these wells have substantial, proven behind pipe reserves. *UPDATE*One lease has been sold back to existing operator. Listing is now for 5 Austin Chalk Leases comprised of 553 acres with 103 existing wellbores. Commercial Real Estate Auction Manufacturing Facility/Warehouse • Online Bidding Available September 15 • 10 AM 14.7± Total Acres • 3 Buildings • 191,350± Total Sq Ft with 4% Office Space Please email for property site information Previews by appointment. •	Buildings have heavy load floors & clear heights of 26 ft •	Clear span manufacturing distribution warehouse area Building 1: 127,200± sq ft; built in 1992 Building 2: 58,500± sq ft; built in 2001 Building 3: 5,650± sq ft; built in 2001 TERMS: Sells to the High Bidder above $1,500,000. Contact me for complete details. Texasoilproperties.com was created by two well operators involved in acquisitions and investment opportunities in the Texas oil and gas business. While working on a new drilling project, they decided to see what investment partnership avenues were available online to help with the funding of the project. It didn’t take long to see that there was not a good source to link the buyer or investor together with the seller. The creators of Texasoilproperties.com have been on both sides of these transactions – they know that the “right deal” for any certain individual or company can be hard to come by. Texasoilproperties.com maximizes your coverage to insure that you are reaching hundreds of people in order to find that right opportunity for your business needs. Richfield Exploration Company Inc. a Texas based Corporation is offering to sell up to 100% Working Interest as production in new Horizontal Eagleford Wells. Richfield will drill, complete and flowback horizontal Eagleford wells on locations that Richfield owns or controls. When the well reaches 400 BOEPD, Richfield will sell by assignment up to 100% of the wellbore and the acreage necessary for the ownership and production of the well bore to the new owner as production. Every well drilled will meet the following criteria: • Eagleford EUR’s of 350 – 400M BOED to be established before closing. • Each location will have a comprehensive reserve study by Cawley or Netherland. • Wells must reach 400 BOEPD or higher before they will be sold or assigned • 100% working interest of flush production sold during flowback, less operating expenses, will be paid to the new owner(s) at closing. • Richfield will retain all ownership of wells that do not flow 400+ BOEPD Richfield will sell 100% of the well working interest to a single purchaser or in increments of no less than 25% to four different owners. If there are multiple owners in the well, Richfield or its designee will operate the well. A 100% working interest owner may select the operator. Richfield will be drilling multiple wells in 2016. Previous production buyers will have a limited time first right of refusal to buy production on subsequent wells. Richfield and or its associates and operator have been drilling horizontal oil wells for the last ten years throughout Texas. Fifteen (15) wells located in the prolific Salt Flat field very close to the infamous Salt Flat fault system. This lease had over $350,000 spend on it recently with new secondary electric, flow-lines, tankage, and more. This is a perfect candidate for a water-flood and lots of unperforated zones in the Chalk that should great potential with small acid jobs or fracks. The proper application and infrastructure should have substantial production with a very low lifting cost. You won't find a better value for the money in todays market. Premium Drilling Prospect with major upside potential. This lease is situated directly against the prolific Salt Flat Fault and surrounded by Major Production. The leases offsetting our lease have cumulative production 1,700,000 barrels of oil each! This leases literally crosses the Salt Flat fault and there is no better un-drilled location in this area that we know of. The potential of this lease is phenomenal with a very low cost to develop. We can get access to an SWD on the property making for a very low cost of production. Look all you want, but you will not find a better prospect on the market for the money. Full third party Geology Reports already completed! Can turnkey if needed and we own most of the equipment to do the job and all of the manpower & equipment to service the production moving forward! Five wells with Texas Petroleum Edwards production surrounding the lease. Two of the wells can be deepened from the Austin Chalk / Buda Formation to the Edwards Limestone. One well can be converted to an injection for an enhanced recovery application in the Austin Chalk / Buda. This is a very economical project with major upside. We have complete Geology Reports on the property. One of the best leases you could possibly find for the money and priced for a very quick sale! 35-40 BOE. 100% WI 70% NRI. Lots of upside with drilling opportunity and up hole formations. 3 Horizontal wells and 1 vertical in Caddo Formation to be used for SWD. Small Oil company looking for investors for an eagle ford shale well. Will be directional drilled and frac'd. Company is offering 60% WI (working interest) to investors who fund the project. Minimal investment will be for 1.0% WI at price above. If interested please email for additional information. Plan to deepen an existing producer (30-40 Bo/mth) approximately 400 feet and complete open hole. Expect IP 30-60 Bopd. If successful, will run casing and frack well at a later date. Work program planned for March 2018. 89 wells for sale in multiple counties in District 1. ~80 NRI and 100% WI. Approx. 80% of wells equipped. Many wells shut in since price drop in 2014. Avg production with all wells operating is 30-50 BOPD. Good drilling locations. 1 free flowing well doing 2 BOPD. NO Maintenance, VERY low monthly Operating costs associated to this free flowing well. All Rights, Title and Interest. Producing at 5370’ from the Austin Chaulk. Email me for pricing. Seeking non-op working interest partner to participate in development drilling program in 2019-2020. Partner will join 3 other non-op partners. Partner can be industry, financial, or individual. Seeking a non-op working interest partner to participate in a development drilling program in 2019-20. Partner will join 3 other WI partners. Expect IP's 100-200 BOPD, 5-7 months payback, 20 year well life, 20% WI available. First well scheduled for late 1Q2019. Conventional Atascosa county dream oil prospect! Prospectus contains 127.3 acre lease located up-dip to a major strand line/fault, and is a possible extension of the massive Charlotte oilfield which has produced 45 million barrels of oil since inception! The target is various Olmos formation sands at a TD of 5,100'. Owner is willing to go 1/3 for 1/4 with a 1/8th carry to casing point, or a 1/16th carry to the tanks. Also, willing to sell the lease and data outright for a fee should the buyer wish to operate. Price above is to sell lease and data outright. Please contact me should you want to invest in drilling. OILCAT Services is privately owned and operating upstream oil and gas services company. We offer well testing and consultation services customized to fit your needs. Visit our website to learn more about our services and pricing. At Texas Hunting Land, LLC and our website www. Texas Hunting Land .com, we strive to help our clients find the recreational or cattle ranch property which best suits their needs. We specialize in the sale of Texas ranches, and have a number of hunting ranches and acreage for sale across North Texas, West Texas, and East Texas. The counties we specialize in are Archer, Clay, Baylor, Jack, Young, Shackelford, Stephens, Montague, Wichita, Hardeman, Foard, Knox, King, Childress, Eastland, Runnels, Stonewall, Palo Pinto and Wilbarger. We also have working cattle ranches for sale and are currently working on land for sale all across the state of Texas and Oklahoma. We also have ranches with minerals and executive leasing rights available. 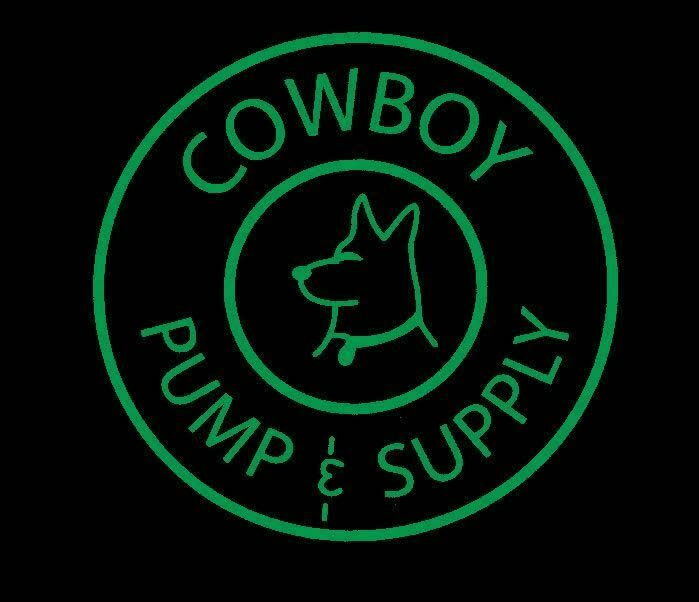 Cowboy Pump & Supply has proudly served the Texas Big Country Oil & Gas Industry since 2001. We pride ourself on service and know that your satisfaction is our success. With a knowledgeable staff in three locations, we are able to provide our customers quality products and service, as well as convenience.